A great gift idea for any gardener, yourself included. Having trouble remembering how you grew those great tomatoes last season? Use the gardening journal to detail your planting, fertilizing and watering activities to help insure a productive summer. Keep notes so you can learn from your successes and failures. Also has a place to record all wildlife seen in and around your garden whether it be butterflies, birds or other critters. A great gift idea for any gardener, yourself included. Having trouble remembering how you grew those great tomatoes last season? Use the gardening journal to detail your planting, fertilizing and watering activities to help insure a productive summer. Keep notes so you can learn from your successes and failures. Also has a place to record all wildlife seen in and around your garden whether it be butterflies, birds or other critters. 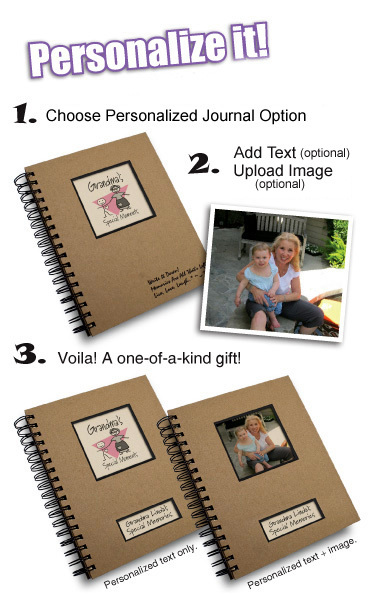 Personalize the Gardening – A Gardener’s Journal with text and/or a picture.